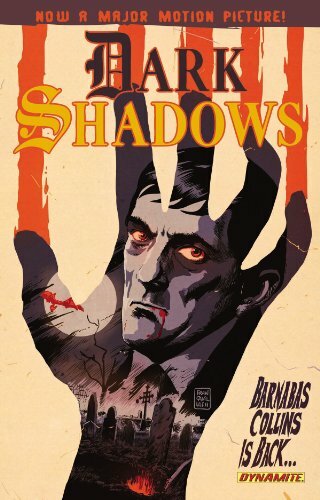 The first storyline of Dynamite's new Dark Shadows series wrapped this past week and will soon be collected into trade paperback. While a review for the final chapter in the storyline is pending here at The Collinsport Historical Society, readers here pretty much know how I feel about the book. If you've wandered in recently, let me just say the series is terrific and is everything a Dark Shadows fan could ask for. The collected edition is scheduled to ship April 10. You can read my thoughts on the first three issues of the series by clicking this LINK. The reviews are accompanied by art samples and are spoiler ridden, so if you plan to pick up the collected edition "cold," you might want to only give my first review a cursory glance. If you plan to order the trade paperback and want to help support this site, please consider buying it from us through this link.